Select the date and time of you routes. 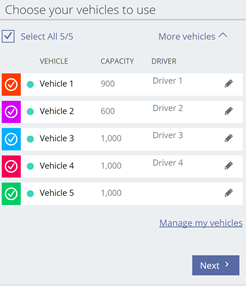 Choose the vehicles you need for your route and click on Next. Visits are the stops your vehicles will make. 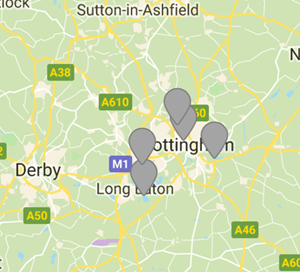 They contain information about your deliveries, such as clients’ names and addresses. 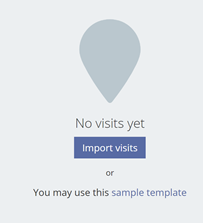 You can enter addresses manually one-by-one or by uploading a spreadsheet. You can also integrate your ERP system with Simpliroute so you can import addresses automatically. For your first route, you can download our spreadsheet sample. Once you upload the addresses, you will be able to see them on the map on the right and as a list on the left. Here you go! Your routes have been created. On the map you will see the routes suggested for each vehicle. 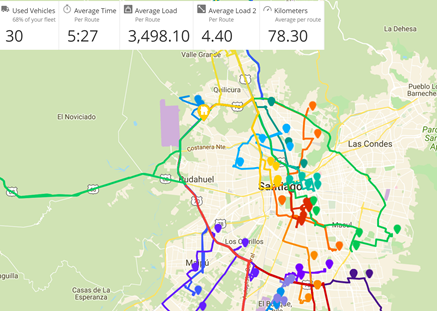 In the top section you will see summary indicators such as the percentage of used vehicles, average time per route and average kilometers per route. On the left, you’ll see a list of your vehicles with the stops assigned to each of them. You can click on every route to see more information: approximate arrival time, load for each visit, etc. You can edit the routes by clicking on Edit. 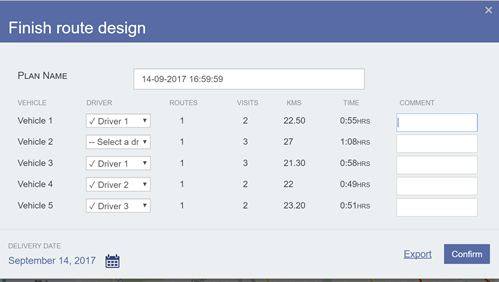 You’ll be able to transfer routes from one vehicle to another, arrange the order of visits, create new routes or delete them. Click on Export if you want to download your results as a spreadsheet, pdf or text file. Click on Finish to go to the last step. After clicking on Finish, a final assignation window will pop up. Here you can make the last changes before dispatching the routes to the drivers. You can choose drivers, change the name of the pan or leave a comment for your drivers. Click on Confirm to dispatch the routes to your drivers. Congratulations! You’ve just created your first routes. 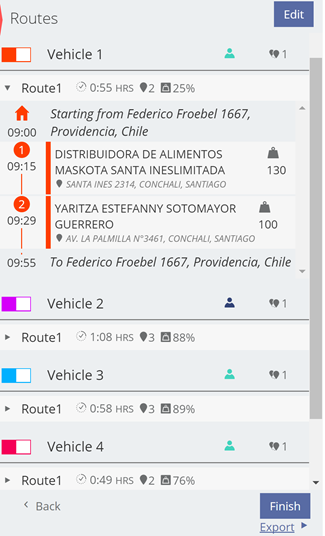 Your drives are now able to check the route information on their phones. They need to download our app for drivers from the Google Play Store.